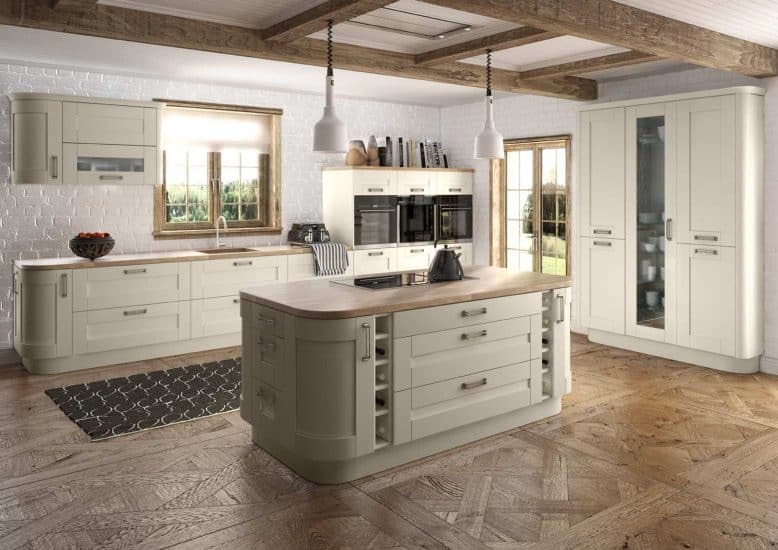 With soft sweeping curves and a classic Buckingham door, this porcelain kitchen manages to make a strong style statement without shouting too loudly. Subtle detail, modern design features and classic finishes such as the wood block worktop combine to create a room that oozes class. The timeless fitted kitchen wouldn’t be out of place in a farmhouse. 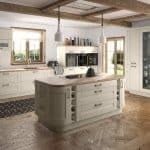 However, if you want all the authenticity of living in a farmhouse without having to actually do any farming, we highly recommend this kitchen for all styles and spaces! All of Starplan’s kitchens are made right here in our Dungannon factory. We love that we can design and make your perfect project for you. By cutting out the middleman, we are able to bring you competitive prices, as well as the personal touch with our service, something which doesn’t seem to happen as much anymore if you buy from the bigger high street stores. We appreciate that this can even put people off looking for their dream kitchen, which is why we adhere to making you feel welcome from the minute you step through any of our doors.